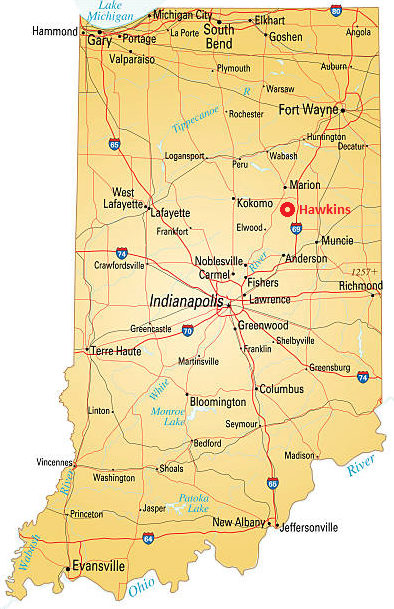 Stranger Things fans have been speculating the location of Hawkins, Indiana, for a long time, but they need speculate no more. The official companion book Worlds Turned Upside Down provides the answer. 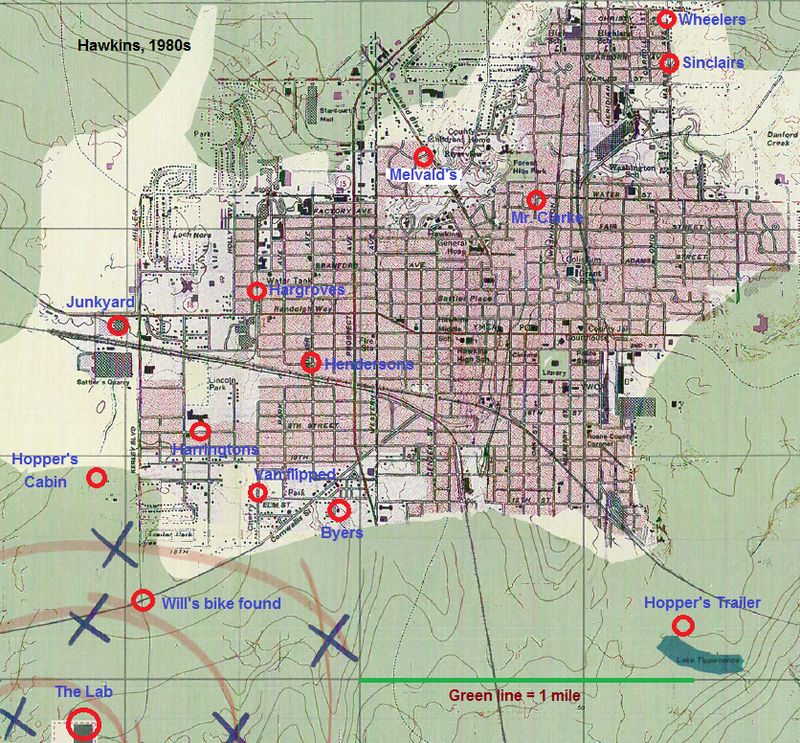 The book includes an 11″x15″ map of Hawkins, and at the bottom shows the town’s location in Indiana. It’s is in the northeastern part of the state, about halfway between Indianapolis and Fort Wayne. I plugged it on the following map in red. World’s Turned Upside Down was released the day before Halloween, but it’s a perfect Christmas gift for anyone who hasn’t obtained it yet. I recommend it highly. City Book Review review and Fanbase Press provide more details.